When I first knew about this line I thought about something targeted to teenagers obsessed with Twilight and the whole vampire thing but then, after I got an informative brochure from my retailer I realized that this line has a more "artistic" concept. Modern Primitive. This is my "favorite" of the whole line. An uncompromising concoction of rough animalic leather, birch tar and spices juxtaposed to a fruity/woody accord. It should represents the origin of life when men used to be predators. Smells industrial and urban but at the same time very primitive. Smoky, intense, earthy and definitely bizarre. The strawberry note morph into something vaguely familiar recalling a sort of sweet rose while the usual metallic note (what they call the "blood accord") is perfectly blended together with the other elements to feel pleasantly integrated. Overall "O" may appeal to anyone who's into challenging fragrances a-la CDG's Synthetic Serie or Tauer's Lonestar Memories (but nowhere close to either though). It's somehow familiar but the first time you smell it it's definitely astonishing, like something you've ever known but you never realized to know. 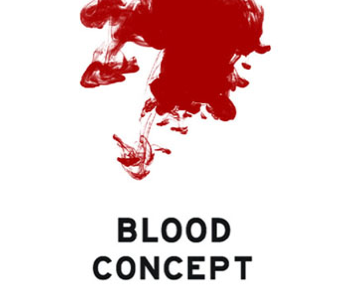 In the end I rank the whole Blood Concept line among the artistic/conceptual fragrances. Something that you can wear every once in a while just like one of those sculpture hats by Stephen Jones. More of an "object" than a proper body fragrance. When it comes to the binomial "weird and wearable" there's nothing like CDG. Among the whole line "A" is surely the less intersting and, from what I learn reading the fragrance introductory brochure, should represent the bound between mankind and nature. It strikes as an aromatic green composition where (extremely) synthetic basil and tomato leaves are joined by a fruity apple/pear accord that's so badly executed to make my hairs raising (despite any fruit note is listed among the ingredients). The usual metallic /blood vibe is emphasized by the fruity undertones and turns to be unbearable. Smells somewhere between a cheap drugstore shampoo and the Pear Nectar by Petit. Meh! Nowhere close being simply weird, just gross! B strikes as a spicy oriental and, in the "mankind-evolution-concept" on which the whole line is based, should represents mass migrations, new discoveries/journeys and the renaissance. Smells bold and spicy, with a consistent patchouli note on which bizarre juxtapositions of acidic fruits (apple) and astringent artemisia plays together with pepper to create an interesting, but not completely satisfying, composition. In the drydown dry woods and tea darken the fragrance while a slight metallic note works as a sort of signature for the whole line. Again, don't expect something disturbing or disgusting as nothing here is aimed to resemble blood itself. The Blood Concept is based on the evolution of mankind through blood types and not to a sort of provocation a-la Secretion Magnifique. Very far from being a masterpiece but still a nice attempt to create a conceptual fragrance. Good projection and great lasting power. Downside: This is the most accesible of the whole line (read more conventional). It is basically a patchouli centered composition and, honestly, when it comes to patchouli you can have much better options out there. AB should represent the urban life, big cities, technology, modernism (the contemporary era). IMO this is the weirdest of the whole line. 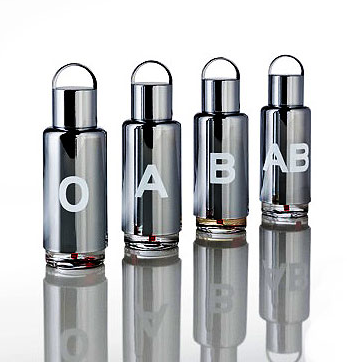 It opens with a blast of sparkling and sharp aldehydes with a remarkable metallic note. The overall effect is cold, almost freezing and smells somehow halfway between unripe fruits and synthetic pine (???). Weird. Mineral notes lurks in the back while a watery accord remarks its presence adding even more cleanness. Usually I'm not into "clean" kind of fragrances but this composition push the clean/aldehydic aspect to the very limit becoming somehow intriguing and definitely futuristic (read: never smelled something like this before). AB projects pretty good and has a remarkable lasting power (more than 8hrs on my skin). Wearable? Not sure yet but while it is definitely a bizarre composition, it resembles anything but blood (which in this case is obviously good). Clean, sparkling, cold and sort of aseptic. Wether you'll like it or not be aware that AB is anything but disgusting. Vampires will have to watch somewhere else. Again, more of a piece of conceptual "art" than a body fragrance. Overall this line is way less scary than they want us to believe. The attempt to create groundbreaking and innovative compositions is somehow failed, but if you don't expect too much give this line a chance. It's always good to know your enemies.